Andrew Despotakis, CFP®, is a Financial Advisor at MACRO Consulting Group. In this role, Andrew maintains all aspects of the client relationship, including conducting client review meetings. He actively monitors clients’ investments and overall portfolio performance to ensure clients remain on track as they work toward their long-term financial goals. In his work, Andrew has adopted the MACRO philosophy of using quality investments and insurance products to help the firm’s clients build a future of wealth and maintain their current lifestyle during retirement. Andrew has held multiple roles at MACRO since first joining the firm in 2016. 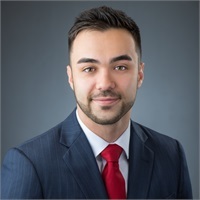 Prior to his promotion to Financial Advisor in 2018, he served as a Research Assistant, where he worked closely with the Investment Committee on conducting quantitative research, analysis, and thoughtful modeling. Earlier in his career, Andrew was employed by a financial firm, where he worked for two years. Andrew holds the CERTIFIED FINANCIAL PLANNER™ designation, which he earned in 2018, and has successfully passed the FINRA Series 7 and Series 66 exams. Andrew earned a bachelor’s degree in both Financial Planning and Finance from William Paterson University in New Jersey. He has received the highest possible scholastic honors for a student attending an AACSB Accredited University. In addition, Andrew is a published pianist and writer.